Whenever you experience a life breakdown, check out the status of your relationships. The breakdown most likely began there. 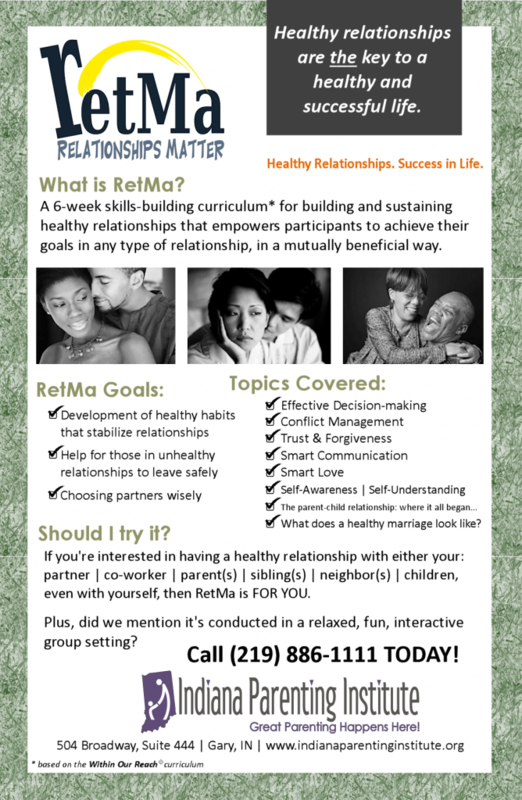 Did you know that healthy relationships are the foundation of a healthy & successful life? That is…if you want to improve your life, you MUST improve your relationships. By acquiring SKILLS…skills that improve communication, listening, and focus, while also reducing stress. Did you know that relationships have goals? That they have a purpose, a direction? Are you and your partner, child, co-worker moving in the same direction? If not, this explains your conflict; and that you did not plot the course for your relationship at its launch. It covers the relationship basics, providing you with the relationship and decision-making skills needed for success – all in a relaxed, interactive setting.